Statistics provided by The Arizona Department of Transportation demonstrate that rear-end collisions, caused by tailgating, is the leading cause of the 85,000 automobile accidents throughout Arizona in 2011. Tailgating is defined as driving too closely to another automobile, which is also one of the most dangerous driving practices many individuals demonstrate every day on our Arizona roadways. In many cases, ignorant individuals may not even recognize they are following too closely until it is too late. In other instances aggressive drivers may be tailgating because they are in a hurry and believe they can control the automobile in front of them, thus resulting in an accident. If you or a family member has been injured or killed in an automobile accident caused by the error or negligence of another individual, the victim may be entitled to compensation for their losses and damages including; medical expenses, property damage, pain and suffering, and lost wages. Every year, in the United States, there is an estimated 6.8 million car accidents, many of which are caused by aggressive drivers. These aggressive driving practices almost always result in tailgating, in turn causing accidents. In most cases, aggressive drivers will exhibit certain actions such as; speeding, disobeying the rules of the road, and frequent and sudden lane changes. Our attorneys recommend that we practice defensive driving in order to avoid an accident with individuals following too closely to our vehicles. It is also wise to keep in mind that we should do anything to further provoke these drivers such as quickly applying the brakes, excessively reducing speeds, or flashing the brake lights, as these actions may aggravate the already aggressive driver and escalate the current situation. Depending on the speed of which is being traveled, the severity of tailgating accident injuries may vary. Of course, the most common injury associated with tailgating is whiplash injuries due to the fact that these injuries are caused by a force causing the head to quickly move away from the body. In fact, statistics show that for every six million individuals involved in a low speed rear impact collision, three million will suffer from injury, while 10 percent of these individuals suffer from whiplash injuries. Typically, more severe injuries, such as concussions, may not appear immediately following the accident, thus is important to seek medical attention directly after you have been involved in an accident. Furthermore, these medical documents can be used to formulate a case against these negligent individuals in the court of law. Throughout Arizona, we will find that many people will decide to tailgate no matter what dangers they pose to surrounding motorists. These individuals seem to disregard the quality of their own lives along with the lives of individuals traveling in their vicinity. As a result, we must take the correct steps to do our best to avoid a collision with these reckless and ignorant individuals. Many times these tips will help us avoid tailgating accidents, however sometimes these reckless drivers may cause an accident no matter what we do to prevent this from occurring. 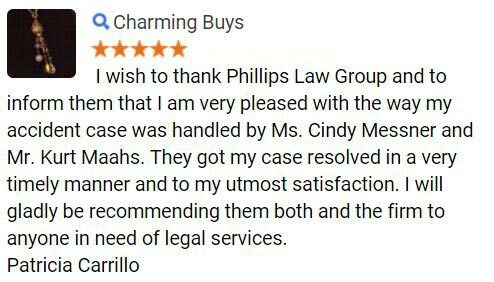 In these instances, the attorneys at Phillips Law Group are here to defend your rights against these negligent individuals. At The Phillips Law Group, our personal injury attorneys believe that if a negligent individual causes harm to you or a family member, the victim may be eligible to receive compensation for their losses and damages in the court of law. Our attorneys also believe that these negligent individuals must be held completely responsible for their actions, thus we will seek the maximum compensation available for your losses and damages. With our main headquarter in Phoenix; we serve the entire state of Arizona and beyond. 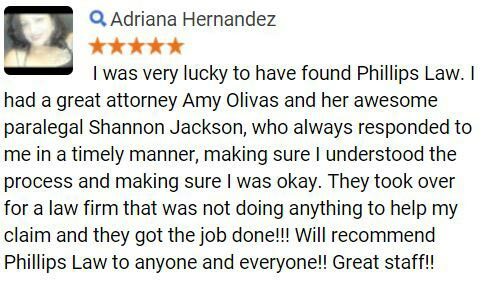 To learn more about how our attorneys can help you seek justice in the court of law during your time of need, or to schedule your free no-obligation case review, we welcome you to contact our firm at 602-258-888 today. 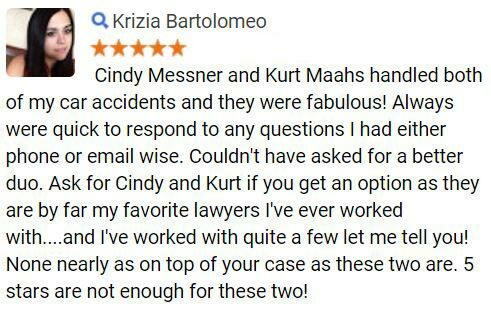 Furthermore, our attorneys all operate on a contingency fee basis, meaning that we will not charge you for our services unless a favorable verdict or settlement has been made. 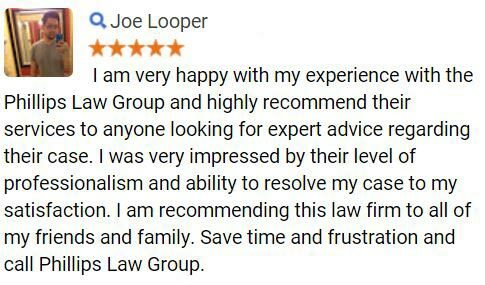 Begin here by filling out the Free Case Review form on this page.